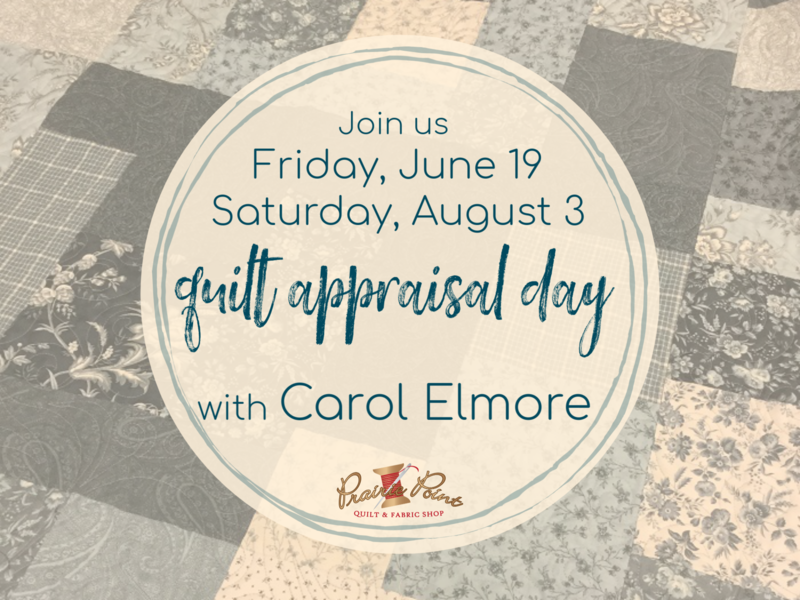 Carol Elmore will be offering quilt appraisals here at Prairie Point. Carol will give you valuable information about the history and value of your vintage quilt. You may register for a 30-minute appointment. Please note: If you would like to bring two quilts to be appraised, be sure to register for two sessions.